This dip should come with a warning! It is dangerously good! Every time I make it, people go crazy over it. I could actually eat this dip as my dinner. It is that good. Now, this does have a little kick from the Ro*tel tomatoes. If you are worried about the heat, use Mild Ro*tel. We didn't think it was hot, but I know some people are more sensitive to heat than we are. 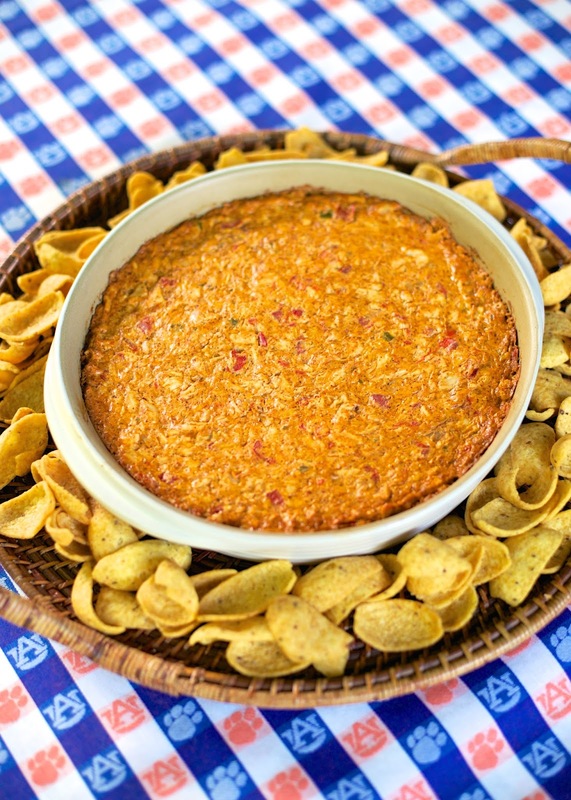 This dip can be made ahead of time and refrigerated until you are ready to bake it. 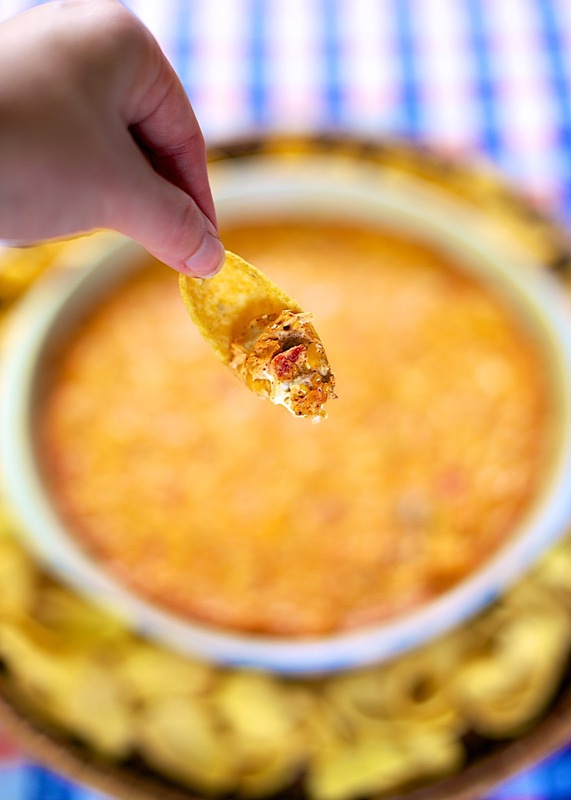 I like to serve this with Fritos, but you can use any chip you prefer. It would also be good with some celery and/or green pepper slices. Preheat oven to 350 degrees. Lightly spray a 9x13-inch pan with cooking spray. Mix together all ingredients and spread in baking dish. Bake for 30 minutes, or until bubbly. Serve with tortilla chips or Fritos. Looks yummy! Is that the Pampered Chef Mini Baker you used? It is the large round baker from Pampered Chef - I've had it forever & LOVE it!